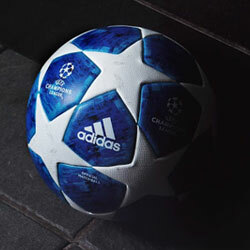 With the yearly all-black boot colourway released earlier this month, adidas are now on to the next. With all the black-boot fans satiated, now it is time for the more colourful players to get excited with the release of the ‘Exhibit’ boot pack. 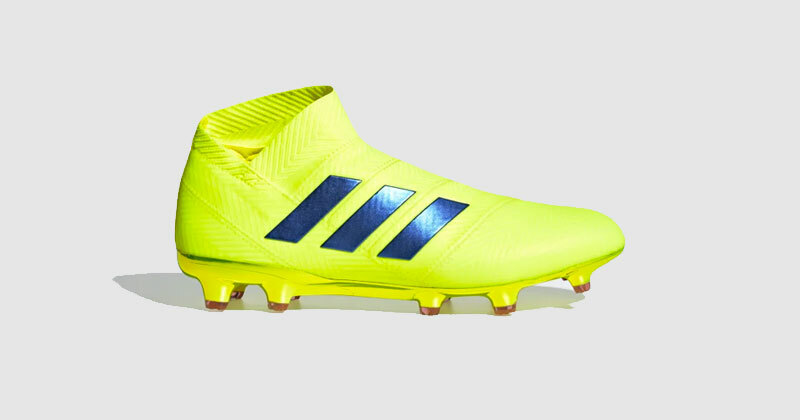 All of the biggest adidas silos have been given a more luminescent makeover to go with their vibrant technology to produce the hardest working, and the best looking, boots on the market. 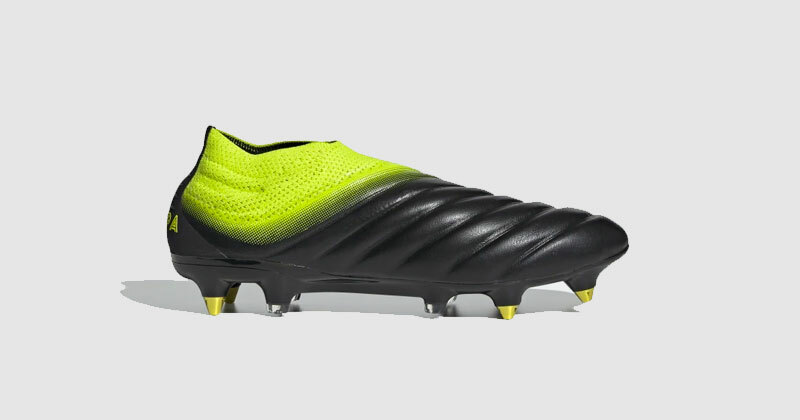 This colourway is just the third rendition for the new Predator 19+, released last year. The new colourway is built up mainly in blue with a red and silver trim and silver three stripes. Silver is also featured on parts of the sole plate, giving the new predator a very superhero costume vibe. 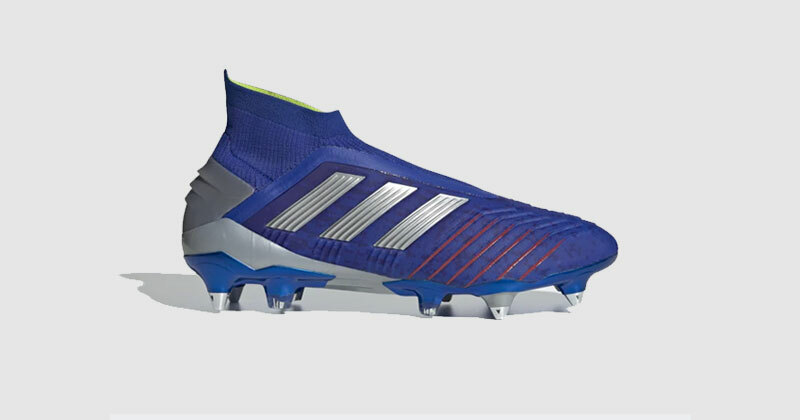 Even though there is quite a lot of colour going on, the design itself is fairly minimal, with the boot broken up into clear segments. The Purecut Laceless technology and sockfit collar also bring a lot to the minimal look. 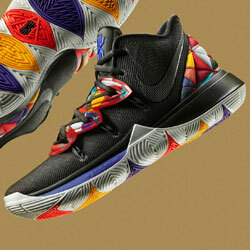 The slight faint urban camo design also looks great from a distance. The Copa is another new silo which is receiving only its second overall colourway in the new generation. 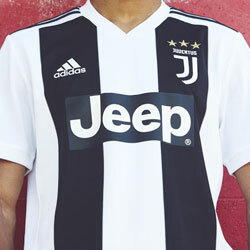 The Copa design is a little more adventurous and is definitely a colourway that fans are either going to love or hate. We can’t see much middle ground for the black and luminescent yellow trim, which covers the top of the sock collar and appears on the sole plate. 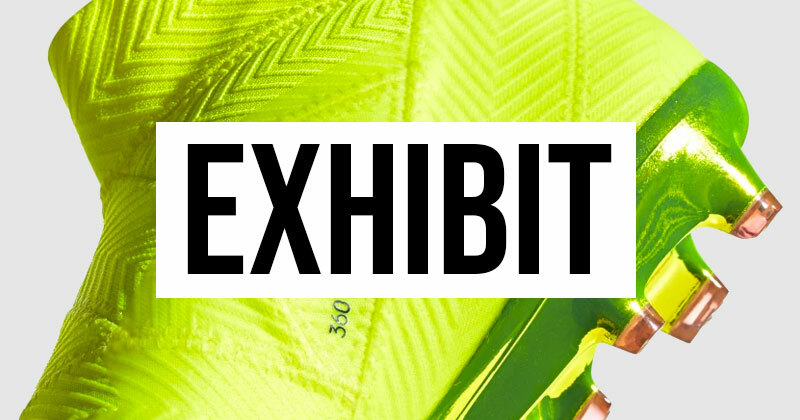 The new Nemeziz has gone full tilt with the yellow and adidas have chosen the solar yellow as the primary colourway for the silo in the Exhibit pack. We’re used to quite simple designs for the Nemeziz as, let’s be fair, when you have a man like Messi as your hype man, there’s little more that needs to done to make people buy the boot. The yellow boot is broken up with a splash of blue used for the three stripes on the outside of the foot. 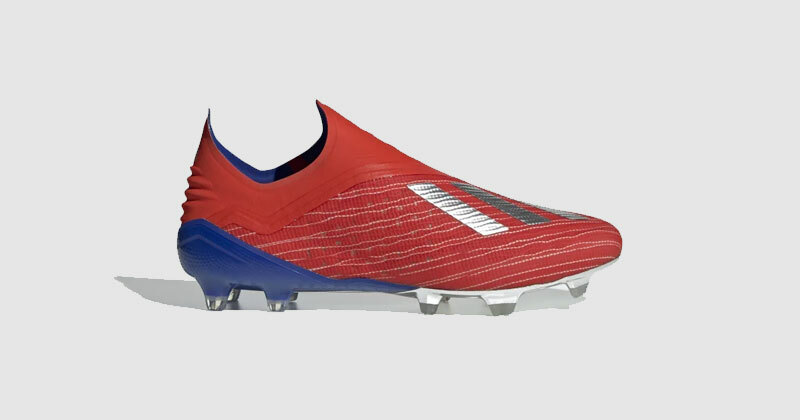 Although there’s no dedicated Nemeziz Messi boot yet, we think this one will tide fans over for the time being and we expect Messi to be donning the new Exhibit pack colourway soon. The final boot in the pack is the X 18+: a boot built for speed which has been gifted a great new red colourway that, for us, actually does look fast AF. This one is probably our personal favourite out of the new Exhibit pack for the new unique design adidas have worked on in honour of some of the fastest players in the game. 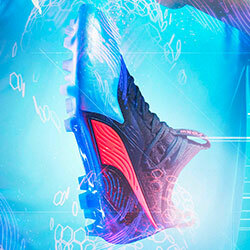 Red is the primary colourway for the boot with a blue inside lining. The real kicker; however, is the silver features running the entire length of the boot which really catch the eye and make for an actually exciting new silhouette. All the new adidas colourways from the Exhibit pack are available now and you can snap up your favourite pair with us at FOOTY.COM. 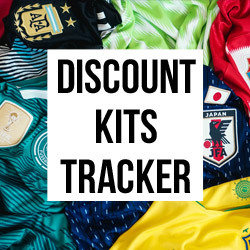 We find the best prices on football boots to make sure you are getting the best deal. That’s right- you can get pink Predators now, and the world will never be the same again.